The short answer is: yes. In 2011, Tennessee passed tort reform legislation which impacted compensatory damages in several key ways. First, compensatory damages are now classified as either economic or non-economic. Economic damages are damages whose monetary value can easily be ascertained. Examples of economic damages are medical bills, lost wages, etc. Non-economic damages are damages which do not automatically have a set value. Instead, the value is left to the discretion of a jury or judge. Examples of non-economic damages are pain and suffering, disfigurement or scarring, the loss of enjoyment of life, etc. Importantly, the new legislation limits the amount of non-economic damages that can be awarded. Before the legislation, a jury or judge could award damages in whatever amount they felt was warranted by the evidence presented at trial (subject to judge and appellate review). Now, non-economic damages have been capped at $750,000 for most cases. In rare situations, non-economic damages are capped at $1,000,000. In our opinion, tort reform is unfair to injury victims, but it is the law of Tennessee. Since economic damages are not capped, it is critical for injury victims to make sure they present evidence of all of their economic damages, and our award-winning lawyers can help you do that. For example, we can help develop testimony from your medical providers about your future medical needs. Or, we may need to present evidence from your employer about your lost wages or lost opportunities for promotion, etc. In complex cases, we may hire an economist or a life care planner to help fully explain how the accident and your injuries have impacted you economically. For instance, a life care planner will meet with your doctors and present an itemized report of all the medical care and equipment (everything from bandages to wheelchairs to future surgeries) you will need in the future and then the life care planner will research the cost of each of those items to ensure you are fully compensated. At the Law Offices of John Day, our experienced attorneys will help you do this without requiring you to pay a penny out of pocket. We handle all accident cases on a contingency basis so we only get paid if we recover money for you. And, we advance all case expenses for everything from gathering your medical records to hiring experts. If we win, we are reimbursed for those expenses, but we do not charge interest on those case expenses like a lot of injury lawyers do. If your case is not successful, you owe us nothing. If you would like to know if you have a valid injury or death case, give us a call at one our three offices. We will talk to you for free and without any obligation. All three offices offer convenient and free parking. If for any reason you can not come to us, just give us a call and we will be glad to come to you at your home or the hospital. But, please do not delay. 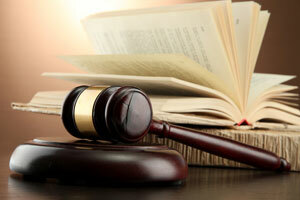 Tennessee law has a very short time period for bringing an injury or death lawsuit. To learn more about that issue, click here.